The prophet Jonah lived in the Galilean city of Gath-hepher (about four miles north of Nazareth) during the reign of Jeroboam II (793-753 B.C. ), king of Israel (cf. 2 Kgs. 14:25). Jeroboam II was northern Israel’s most powerful king, and during his administration, the borders of the nation were expanded to their greatest extent since the time of David and Solomon. Assyria, however, five hundred miles to the east, was a constant threat. The fact of the matter is, due to Israel’s progressive rebellion, the prophets Hosea and Amos, contemporaries of Jonah, had declared that Jehovah would use Assyria as an instrument of punishment against his people (cf. Hos. 11:5; Amos 5:27). Any patriotic Israelite would have longed for Assyria’s destruction! One can scarcely imagine, therefore, the consternation that must have filled Jonah’s heart when he received the Lord’s word instructing him to proceed to Nineveh, the capital city of Assyria, with a divine message. Although the prophet’s brief declaration to Nineveh was one of judgment, nonetheless, Jonah was aware of the fact that Jehovah is a “gracious God, and merciful, slow to anger, and abundant in loving kindness” (Jon. 4:2). Hence, it was certain that if the inhabitants of that great city were responsive to his message, Heaven would certainly spare them. And Jonah did not want that. Accordingly, Jonah went to Joppa where he boarded a ship bound for Tarshish, a Phoenician colony on the southwest coast of Spain some two thousand miles to the west. The express design of his trip was to flee from the presence of Jehovah (Jon. 1:3). But, as every Bible student knows, his plans were soon thwarted. Where men propose, God can dispose! When a great storm arose, and the inmates of the vessel feared for their very lives, Jonah confessed that he, as a refugee from the Lord, was the cause of the calamity. Though the prophet’s sailing companions did not like the idea, they ultimately were forced to accept Jonah’s suggestion that he be thrown overboard. Down he went into the dark depths of the Mediterranean, seaweed swirling about his head (cf. Jon. 2:5). Presently, he was devoured by a great creature of the deep. One might almost say that the Lord sent Jonah to school for three days, and the classroom was the belly of a great sea-monster. The prophet matriculated wonderfully well, graduating with a diploma in “mission responsibility”! Amazingly, there was mass repentance, from the king (Ashur-dan III, according to Assyrian records) down to the commoner. Jonah was quite distraught at this turn of events and he despaired, even to the point of wanting to die. Resolutely, he perched himself on a hilltop nearby, eagerly watching the city in hopes that the Lord would yet destroy it. His education was still incomplete! As he sat in the scorching sun, God caused a shady vine to grow up for his refreshment and the prophet was glad. On the following day, however, Jehovah sent a worm to smite Jonah’s vine, and as the blistering sun beat upon his head, the man of God again lapsed into a state of abject depression. The penetrating inquiry threw a divine floodlight upon the pathetic values of the man from Gath-hepher. The book of Jonah is filled with valuable information and timeless lessons. Perhaps we could reflect upon a few of these matters. First, we should note that this marvelous narrative has suffered the brunt of the critics’ barbs for a long while. Because of the incident of Jonah being swallowed by the sea-creature, many modern scholars contend that the document is pure fiction (cf. Goodspeed 1946, 149). Jesus Christ, however, did not so view it. He appealed to the narrative as genuine history (cf. Mt. 12:39-41), and this settles the issue for all who have any regard for the Savior’s deity. Aside from the fact that this event doubtless involved a miracle, the circumstances are not beyond the realm of possibility even from a natural viewpoint (as employed in the providential operations of God). In fact, a number of similar cases have been documented in relatively modern times. 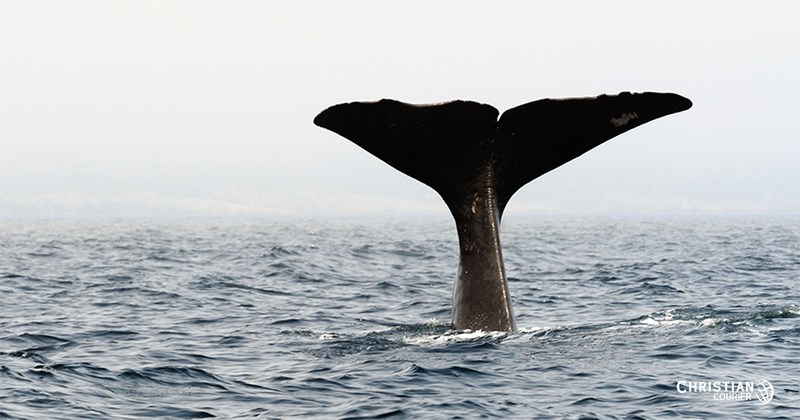 In 1891, a seaman was swallowed by a large sperm whale near the Falkland Islands. After three days, he was recovered, unconscious but alive, though there was some damage to his skin (Wilson 1927, 636). Some, however, dispute the credibility of this story. Moreover, some critics argue that the book of Jonah depicts the prophet as being swallowed by a “great fish” (Jon. 1:17), while the New Testament suggests that the creature was a “whale” (Mt. 12:40). And, as any schoolboy knows, a whale is a mammal, not a fish. The fallacy of this ill-conceived argument lies in the fact that both the Hebrew word dag, and the Greek word ketos, are generic terms that can apply to any aquatic creature (cf. ASV fn). There is no error here. The book of Jonah demonstrates the sovereignty of the Almighty as he employs his creation to accomplish the divine plan. The Lord controlled the elements of weather (Jon. 1:4, 11, 13, 15; 4:8), and he prepared a sea-creature, a vine, and a worm to do his bidding (Jon. 1:17; 4:6, 7). This inspired document reveals the international interest of God, even in the Mosaic era. Though Jehovah was working primarily through the Hebrew nation as an instrument for the sending of the promised Seed (Gen. 22:18), nevertheless, his compassion for all the people of the earth was abundantly manifested. And the sending of the “missionary,” Jonah, to these Gentile Ninevites was a clear demonstration of this. This narrative illustrates a truth so frequently suggested in the Old Testament, namely, that the Lord, not man, is in control of the destiny of nations. Jehovah rules in the kingdoms of men and disposes of them according to his divine standard (cf. Psa. 22:28; Prov. 14:34; Dan. 2:21; 4:17). Those who think that nations stand or fall because of a “strong national defense” are woefully ignorant of biblical principles. Nineveh was given forty days to repent. As a result, the nation was spared destruction for about a century and a half. Later, however, when Assyria degenerated again, she was destroyed and the prophet, Nahum, addresses this very matter. Nineveh fell to the Babylonians in 612 B.C. The book of Jonah demonstrates that ancient peoples who were outside of that Mosaic covenant relationship with Jehovah were nonetheless accountable to Heaven’s moral law. Jehovah looked down upon Nineveh and observed the wickedness of these people (Jon. 1:2). Since sin is the transgression of divine law (1 Jn. 3:4; cf. Rom. 4:15), the Ninevites were obviously subject to such. This powerful truth is in direct conflict with the modern theory which contends that those who are “outside of the church” are not subject to the marriage law of God (the design of which is to regulate human morality — cf. 1 Cor. 7:1ff; Heb. 13:4). The whole purpose of this novel concept, of course, is to justify adulterous relationships within the family of God! This record reveals the power inherent within the word of God when such comes into contact with honest and good hearts (cf. Lk. 8:15). Though Jonah’s message was very brief (as indicated above), it produced the desired effect. Again, some critics have faulted the divine account at this point, claiming that so trifling a sermon could hardly have produced the results described. But the objection, which stems strictly from subjective bias, ignores the biblical evidence, not the least of which is the testimony of Christ that “the men of Nineveh repented at the preaching of Jonah” (Mt. 12:41). Too, somehow or another the citizens of Nineveh had learned of the prophet’s “resurrection” from the belly of the “fish,” for, as Jesus noted, Jonah was a “sign” to that generation even as the raised Lord would be to his (cf. Lk. 11:30). This instructive account, together with the inspired New Testament commentary which discusses it, underscores an important dimension to repentance. Jesus declared that “the men of Nineveh repented at the preaching of Jonah” (Mt. 12:41), while the book of Jonah itself informs us that God “saw their [the people of Nineveh] works, that they turned from their evil way” (Jon. 3:10). Thus, repentance is not, as some allege, a mere sorrow for sin. Rather, it requires turning away from evil conduct. Moreover, this passage reveals that repentance is a work, and since repentance is essential to salvation (Lk. 13:3, 5; Acts 17:30), it conclusively follows that salvation is not exclusive of all types of works! An intriguing passage in the book of Jonah illustrates a vital point about the punishment of the wicked after death. “I cried by reason of my affliction unto the Lord . . . out of the belly of hell cried I” (Jon. 2:2). The Hebrew term is Sheol. Here it denotes the abode of the wicked prior to the Judgement. Since crying out by reason of affliction certainly indicates conscious suffering, one may conclude that the state of the wicked dead is that of conscious torment—a truth affirmed elsewhere in the sacred record (cf. Lk. 16:23; 2 Pet. 2:9, ASV). J.W. McGarvey has an excellent discussion of this point in his essay, “Destiny of the Wicked” (n.d., 429, 430). Jonah’s message to Nineveh reveals that prophecy is sometimes conditional. The prophet declared that the great city would be destroyed in forty days. But it survived for a century and a half beyond that time. Clearly, therefore, the prediction of doom was conditioned upon Nineveh’s response to the prophetic message. Millennialists would do well to learn from this principle of prophecy. For example, Israel was promised an inheritance of the land of Canaan. That promise, however, was conditioned upon their fidelity to God (cf. Josh. 22:4, 5; 23:1ff), and the time eventually came when they lost their deed to Palestine. Modern Israel has no intrinsic right to that Middle Eastern real estate. The book of Jonah presents a beautiful type of the resurrection of Christ from the dead. “[F]or as Jonah was three days and nights in the belly of the sea-monster; so shall the Son of man be three days and three nights in the heart of the earth” (Mt. 12:40). Clearly, the Lord viewed Jonah’s three-day entombment as a foreshadowing of his resurrection from the grave, by which, of course, Christ was declared to be the Son of God with power (Rom. 1:4). “For whatsoever things were written aforetime [i.e., the Old Testament Scriptures] were written for our learning, that through patience and through comfort of the scriptures we might have hope” (Rom. 15:4). Surely the foregoing points of truth, as gleaned from the delightful book of Jonah, are illustrative of the truth of this rich passage. Why not take some time and refresh yourself with a review of the edifying material in the book of Jonah. Jonah: A “Fish Story” or History? Goodspeed, E. J. 1946. How to Read the Bible. Philadelphia, PA: John C. Winston Co.
McGarvey, J. W. n.d. Destiny of the Wicked. Lard’s Quarterly. Vol. 2. Wilson, A. J. 1927. Princeton Theological Review, XXV, October.